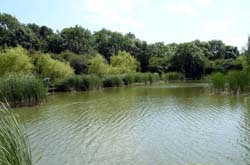 The fishery is very popular during the summer months with pleasure anglers and, as would be expected club matches, which tend to be confined mostly to the weekends. Despite its popularity there are plenty of pegs and a vacant swim can nearly always be found. The fishery has a timber walkway along the length of one bank with the rest of the banks being hard flat paths. There are 66 generously proportioned and purpose built timber platforms with brackets and fittings for bank sticks and an umbrella. Strockton Reservoir has a timber walkway all the way along one side with 66 timber platforms that make getting to pegs and setting up comfortably a doddle. 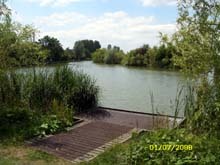 The lake has four reed-fringed islands within the reach of a waggler or feeder from adjacent pegs and large areas of open water. 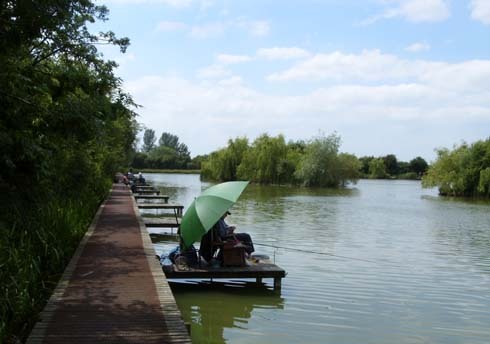 The fishery is very well stocked with carp averaging 6lb and specimens topping 25lb. There are also good numbers of tench and chub along with bream, roach, rudd and crucian carp. Match weights tend to average 70-90lb with pleasure bags well in to the 100lbs. Depths on average are five to seven feet, with very flat bottom across much of the reservoir. 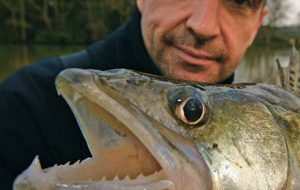 British Waterways has introduced a season permit which covers all its commercial fisheries in the West Midlands business unit. These are Earlswood Lakes (Engine and Windmill pools only), Blythe Waters and Stockton Reservoir. 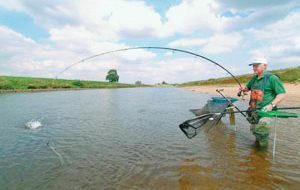 Full permits, which allow anglers to fish any day of the week, cost £156 a year and Concessions (subject to holding a concessionary rod licence) cost £130 a year.